Carl Stahl Süd GmbH's Munich location presented itself at this year's "Apprenticeship & Study Days" under the motto "School Passed - Start Through at Carl Stahl". Workshop "SmartCity - Digitisation in municipalities"
Under the motto "Innovation, practical orientation and implementation belong together", a workshop for representatives of the surrounding communities took place on Wednesday afternoon of March 13 from 2 p.m. to 6 p.m. in the rooms of the Carl Stahl Akademie in Süßen. About 20 participants accepted the invitation of Edgar Wolff, district administrator of the district Göppingen and Reiner Lohse of the Wirtschafts- und Innovationsfördergesellschaft für den Landkreis Göppingen (WIF), as well as Martin Munz of Carl Stahl Süd GmbH location Süßen as host. 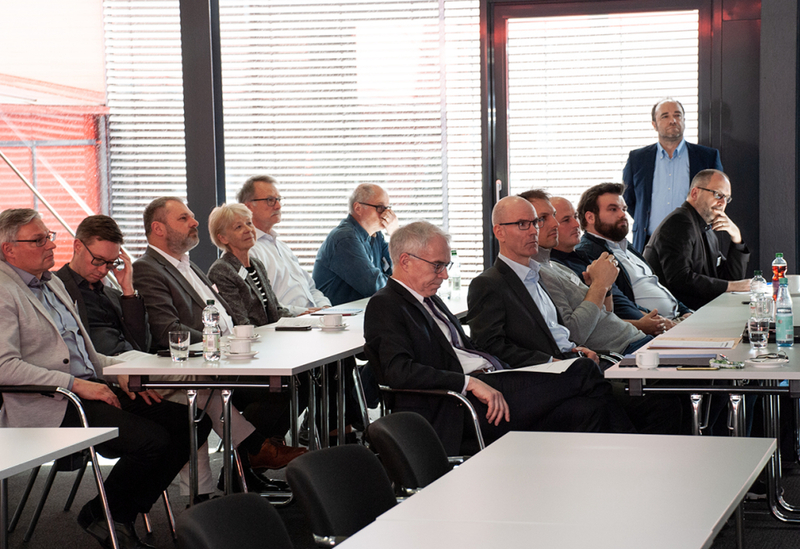 "Connected to safety" - this was the motto of this year's Carl Stahl Sales Conference, which took place on 14 and 15 February at the company's headquarters in Suessen, Germany. 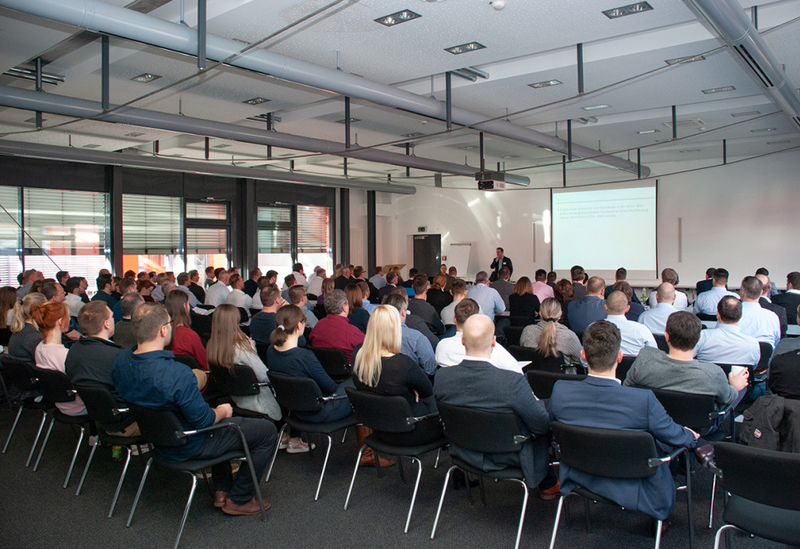 Approximately 100 sales employees of the office and field service from Germany and Austria took part in sales training courses, practice circles and workshops. It is the reference in the field of material handling: The Carl Stahl Direct specialist catalogue. The new issue 2019 has just been published. 772 informative pages with over 15,000 products! These include room-filling crane systems, tailor-made load handling attachments, high-quality slinging equipment and lifting points, and a broad portfolio for load securing. 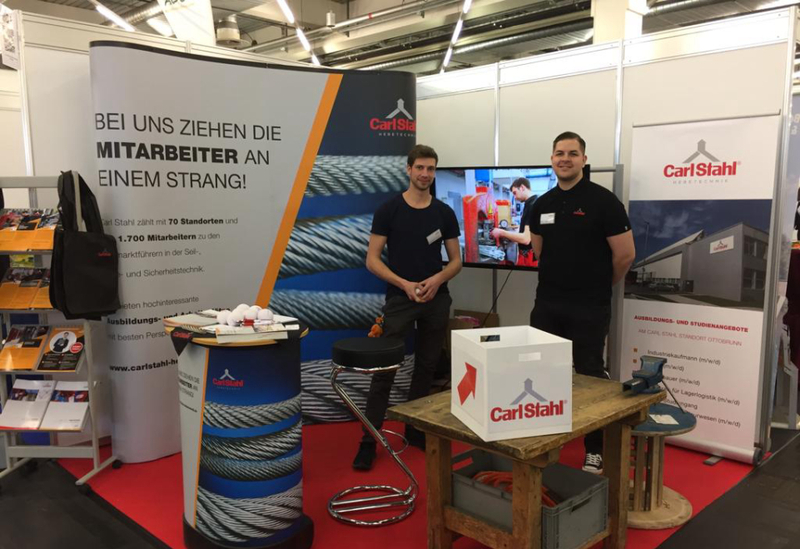 Founded 1880 in Suessen (South Germany) as a small rope-making company Carl Stahl today has become one of the world market leaders in rope- and lifting equipment with 70 locations on four continents. 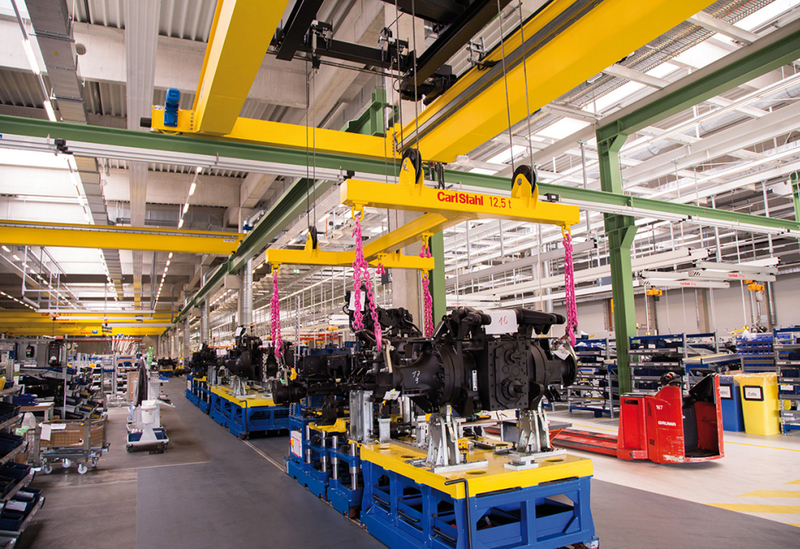 Within its lifting equipment division Carl Stahl offers in cooperation with powerful partners a large range of high-quality products and workplace related solutions for a safe and efficient transport of loads. Products and solutions from Carl Stahl improve the production processes within companies and increase the workplace ergonomics. Beside that the Carl Stahl Group is committed to protect people in all sectors of industry and all working environments against the risk of falls. In cooperation with leading international manufacturers and brands this leads to the broadest range of products in the field of fall protection systems and personal protective equipment for the prevention of falls. In dialogue with our customers highly educated sales consultants develop perfect solutions for every individual application. This is rounded off by excellent after-sales services such as the “Carl Stahl Integrated Services”, a repair service for many lifting equipments and seminars.